Fashion trendsetters of the screen and stage reigned over the 2007 China Fashion Awards, held on Sunday in Shanghai. Karen Mok performs at the 2007 China Fashion Awards in Shanghai on Sunday, December 9, 2007. Fashion models and designers reaped only a shred of glory, as entertainers snapped up the majority of the 30 or so awards. Venerated Hong Kong actress Angie Chiu was named the Chinese Fashion Artist of the Year. Musician Gackt and actor Lee Jun Ki were the Japanese and South Korean artist of the year, respectively. Xia Yu and Vicki Zhao Wei (Chinese mainland), Anthony Wong Chau-Sang and Isabella Leong (Hong Kong), and Vic Zhou and Kwai Lun-Mei (Taiwan) received the Fashion Best Actor and Actress awards. 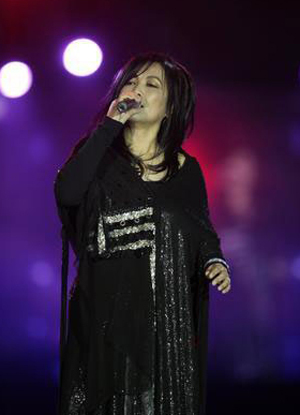 Taiwan musician Chyi Yu and Hong Kong veteran Lisa Wang Ming-Chuen, both long absent from the mainland audiences' eyes, made it to the ceremony to claim their awards for Fashion Tribute to Classical Figure, and Global Chinese Contribution, respectively. Other musician winners included Lo Ta-yu (Fashion Music Contribution), Karen Mok (Fashion Outstanding Asian Singer), Leo Ku (Fashion Outstanding Asian Singer), and pop-rock band Mayday (Fashion Music Group). Artists behind the scenes, such as photographer Wang Xiaohui, who received the Fashion Photographer award, were also recognized. Taiwan theater director Stan Lai walked away with the Fashion Theatrical Contribution award for his widely-acclaimed three-woman show, "Total Woman." Chinese model Pei Bei and Japanese supermodel Ai Tominaga were among the few models honored. Taiwan musician Chyi Yu performs at the 2007 China Fashion Awards in Shanghai on Sunday, December 9, 2007. 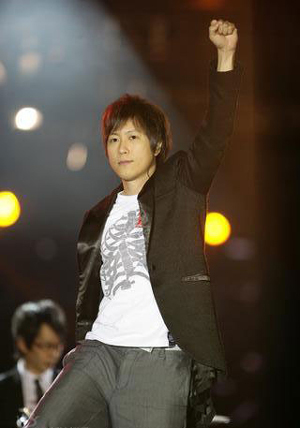 Ashin, front-man of the Taiwan pop-rock band Mayday, performs at the 2007 China Fashion Awards in Shanghai on Sunday, December 9, 2007. Chinese mainland actor Xia Yu poses with his best actor trophy at the 2007 China Fashion Awards in Shanghai on Sunday, December 9, 2007. Taiwan actress Kwai Lun-Mei is interviewed at the 2007 China Fashion Awards in Shanghai on Sunday, December 9, 2007.